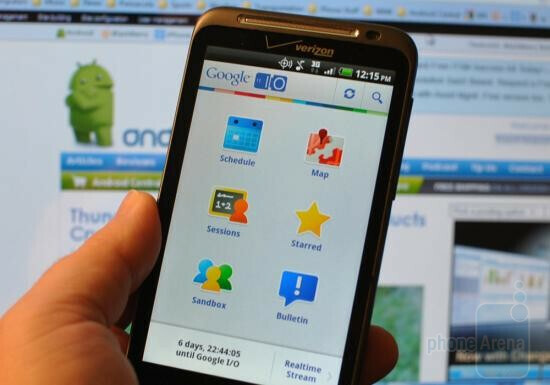 Whether or not you can make it to the Google I/O conference next week in San Francisco, the official conference app can be downloaded for free from the Android Market and will give you all the information you need to make it feel as though you are there. And if you are there, the app will give you schedules of keynote speeches, times of presentations, late changes in the schedule, a map of Moscone West and more. With the real time Twitter feed, you can keep up to date on the reaction to news from inside and outside the conference. 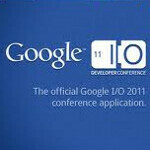 The Google I/O Developer's Conference runs May 10-11 at the Moscone West Center in San Francisco. To show you how popular this annual event has become, the show sold out this year, in less than a hour.